Behind the faction fight in the UK’s pro-Corbyn Momentum movement, as Exposed by the World Socialist Web Site. The headlines prompted by the December 3 National Committee of Momentum were uniform in character. The pro-Jeremy Corbyn pressure group, which had generally been portrayed as a threat to Labour’s electoral prospects, made up of “wreckers” who want to purge the party’s “sensible” right wing, was rebranded as a precious political jewel to be protected from a “Trotskyist” takeover. The entire presentation is a tissue of lies. The conflict within Momentum is between a bureaucratic cabal at the core of Corbyn’s leadership team, many of whom are indeed Stalinists, and representatives of various pseudo-left groups who are bitterly opposed to Trotskyism and who have no intention of breaking with either Corbyn or the Labour Party. The moves now being made within Momentum to close off all genuine debate and insist on absolute loyalty to Labour should spur those workers and youth who looked to it to provide a socialist alternative to carefully study the SEP statement. This outlines the struggle within Momentum very well, it is well worth a read for that. But then, having played the blame squarely on Lansman and Corbyn it draws the ridiculous conclusion that the opposition should not be, critically and without illusions, supported against them here because they are equally as bad (they are not) and everyone should leave the Labour party and join the SEP (they will not). On that logic it would be better if Lansman managed to snuff out democracy entirety in Momentum and defeat his opponents who want to establish democratic structures because then they would clearly see the SEP was right all along and fighting inside the Labour party was a waste of time and energy. The Dictator, the Revolution, the Machine. A Political Account of Joseph Stalin Tony McKenna. A Review. The Dictator, the Revolution, the Machine. A Political Account of Joseph Stalin Tony McKenna. Sussex Academic Press. “I recently read an interview featuring a cultural commentator of the left. Alongside the interview a photo appeared of this individual against a backdrop which featured an image of Joseph Stalin.” In the Preface to The Dictator the Revolution, the Machine, Tony McKenna observes in this, not uncommon, gesture, a “certain wry sympathy for Stalin’s political endeavours.” The Chair of no less than the Stop the War Coalition, Andrew Murray, has expressed such empathy on many occasions. For these people Stalin’s title of Generalissimo and Hero of the Soviet Union, awarded in June 1945, was due recognition for a leader prepared to “get his hands dirty” in defence of the USSR. This judgement, McKenna states, with appropriate severity, “does a great disservice to the millions Stalin had murdered” (Page xi). McKenna considers, then, that “Stalinism represented the negation of the proletarian revolution”. Lenin stood for the emancipation of the working class “to be an act by the workers themselves” (Page 42) Nothing could be more clearly opposed to Stalin’s “overwhelming distrust – not only for the masses, but for the process of revolution itself” (Page 16) For those who recount the political conflicts of the early Soviet Union as a clash between a growing bureaucracy, and those, siding with Lenin who railed against administrative power and privilege, this is a decisive difference. Leninism was popular creative power; Stalinism was the rules and regulations, backed by repression, of the office. According to Alexander Solzhenitsyn the Gulag Archipelago could not have built without the early sanction of these measures of compulsion. “In the first months of the October Revolution Lenin was already demanding decisive draconian measures to tighten up discipline” In December 1917, he suggested for consideration, confiscation of all property.. confinement in prison, dispatch to the front and forced labour for all who disobey the existing law.” (6) During the period of War Communism, Trotsky advocated ever tighter punishments, and the militarisation of labour (Terrorism and Communism: A Reply to Karl Kautsky 1920) He asserted that the dictatorship of the proletariat was able to make use of organized state power by the working class to crush its opponents and to pave the way for social transformation. If every Cook could run the State, as envisaged in the State and Revolution, those who broke the rules risked more than admonishing in an acidic polemical article. The dissolution of the Constituent Assembly was the end of ‘formal’ democracy and its replacement by the ‘superior’ form of workplace rule. As experience rapidly showed, adversaries of ‘Soviet power’ from the right, the dissident left, and not all because of the violent opposition of the left Social Revolutionaries (Uprising 1918. Exclusion: Fifth Soviet Congress, 1918), the right and then the left Mensheviks and Anarchists, particularly those with suspect “class origins” (which began to be treated as a hereditary taint) were progressively excluded from the ‘democracy’ of the Soviets. The system was designed to be the opposite of ‘agonistic’ politics where open clashes between opposed views would be freely expressed. Was Stalin’s hold on these reins of power inevitable? During Lenin’s later lifetime and following his death, disputes between bureaucrats – that is state employees – Trotsky, Bukharin, Zinoviev, and Stalin, to cite some well-known names, continued. But already the shrinking of political freedom had caught up with the Party itself, as factions had been banned, and all dissent was suspect. There seemed to be an inevitability about further moves towards enforced unity – “discipline” – around One line One leader, on every single issue, economic, cultural, political, and ideological. Yet Moshe Lewin’s Lenin’s Last Struggle (1975) underlines the view that his Testament explicitly called for Stalin’s removal from office. Lewin claimed, “the use of constraint – let alone terror – is ostensibly excluded in establishing the foundations of a new society”. (8) This ‘tolerance’, at best putting up with people, was, as we seen, very limited. As McKenna narrates, not only was the Testament suppressed, and Stalin’s office confirmed, not to be, but also the range of forces allied with him, and the hesitations of his opponents, prevented even the document being discussed. The Dictator the Revolution, the Machine is a passionate intervention into debates on these issues. The description of the full “shadow of totalitarianism”, Stalin’s 1930s Great Terror, and a thorough, searing, look at the Gulag, is outstanding. McKenna’s concluding hopes for a direct ‘utopian’ democracy that takes collective control of a socialised economy takes inspiration from the best side of the Soviet ideal. This review has argued that we cannot ignore, with Claude Lefort, and many others, the other side, the ‘temporary’ limitations on democratic expression sketched above. They cannot be ignored. They turned out to be the permanent basis for a totalitarian regime, and whatever form of erratic command economy one cares to call it. Perhaps truly universal – unblemished – inspiration cannot be found in the early years of the Russian Revolution. The all-too-ready use of force to resolve political issues played some part in the emergence of Stalinism. The means, exile, imprisonment, forced labour and killing, by which the “Pouvoir soviétique se déliverent des enemies”, (how Soviet power got rid of its enemies) are not foreign to the emergence of Stalin’s system of rule, warped by his own personality though it may have been. (9) We should also ensure that this blood-drenched tyranny is never repeated. Page 85. The Letters of Rosa Luxemburg. Edited by George Adler, Peter Hudis and Annelies Laschitza. 2011. Page 385. Let History Judge. Roy Medvedev. Spokesman. 1971. Page 110. Lars T. Lih. Rekation Books. 2011. Page 212. Christopher Read. Routledge 2005. Page 419. Stalin. Paradoxes of Power. 1878 – 1928. Stephan Kotin. Allen Lane. 2014. On Stalin’s team. Sheila Fitzpatrick. Princeton University Press. 2015.Pages 19 – 10. The Gulag Archipelago. Vol.2. Colins/Fontana. 1976. 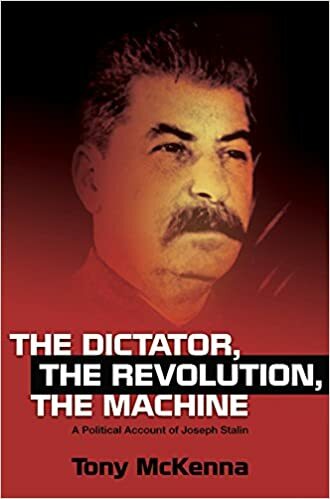 The Dictator, The Revolution, the Machine: a Political Account of Joseph Stalin. Tony McKenna is a bona fide public intellectual who contributes to Marxist journals without having any connections to academia or to the disorganized left. This gives his writing a freshness both in terms of political insight and literary panache. I first encountered his work in a collection of articles titled “Art, Literature and Culture From a Marxist Perspective” that reflected a familiarity with culture high and low and an ability to put works such as “The Walking Dead” into a broader political and social context. Was the popular AMC zombie show a good preparation for “The Dictator, The Revolution, the Machine: a Political Account of Joseph Stalin”, his latest book forthcoming from Sussex press? I’d like to think so. Stalinism and Trotskyism both back in vogue says Andrew Murray (Chair of the Stop the War Coalition). Both Stalin and Trotsky Back in Vogue says Chair of Stop the War Coalition. Stalinism and Trotskyism appear to be back in vogue. Their shrouds are being waved — entryism here, a purge there — to terrify bystanders to the struggle over the future of the Labour Party, writes Andrew Murray. Andrew Murray is, to repeat, Chair of the Stop the War Coalition and holds some other positions in the labour movement. He continues on this site. In a learned analysis of Trotsky’s uncompleted book Stalin (apparently now out in a definitive edition) Murray outlines within this context the background of the founder of the Fourth International’s final (uncompleted) book. It was Trotsky’s last major literary endeavour and he was working on it when he was assassinated by an agent of Soviet security in 1940. It was a biography so unauthorised that it may be the only one in the history of the genre whose author was murdered by its subject while the book was still being prepared. We should nevertheless get the low-down on the cash involved. Trotsky had been paid $5,000 for the job by a US publisher who was accurately anticipating a sustained assault on the Soviet leader. There is more to Trotsky’s bile than Olympian Marxist analysis. His outrage at the fact that he, the great leader of the insurrection and the Red Army, should have come off second best to a man obviously inferior to him in every salient respect — orator, writer, reader of second and third languages and so on — permeates every page. The USSR won the war and Stalin emerged stronger than ever, with socialism spreading to half of Europe and much of Asia, perhaps the most significant of the many circumstances which left Trotskyism without Trotsky stillborn as a major political movement. Trotsky would have found all this quite incomprehensible but perhaps not as incomprehensible as his own political worsting by a nonentity from the provinces. Historians and some on the left will continue to dispute these questions ad infinitum. But no, the Labour Party is not living through “Stalinism” versus “Trotskyism” reincarnated. Time, perhaps, for a new political vocabulary. According to the one-time Trotskyist Fred Zeller in Témoin du siècle while he visited the Marxist leader in Norway he informed Trotsky of Souvraine’s work. Trotsky did not have a high opinion of it, noting that the book was even not unreservedly respectful of Lenin…..
Souveraine was, one observes today, critical of Trotsky, but rightly laid the emphasis on the monstrous crimes of Stalin and the immense social apparatus of repression and killing that was built from the 1920s onwards. 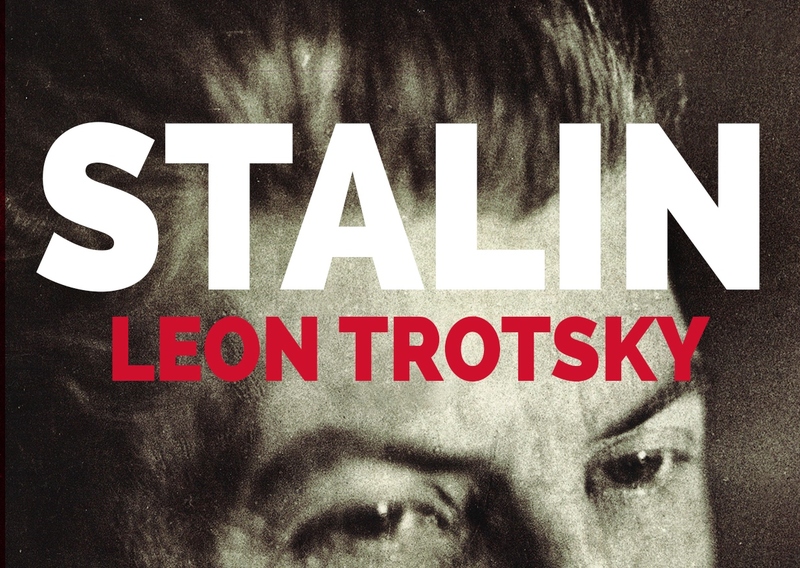 (1) More here: In these videos, Alan Woods and Rob Sewell discuss Leon Trotsky’s great unfinished work, Stalin, which is being published this year by Wellred Books. Alan Woods discusses the political and theoretical analysis provided by Trotsky, who attempts to explain some of the most decisive events of the 20th century, not just in terms of epoch-making economic and social transformations, but in the individual psychology of those who appear as protagonists in a great historical drama. Meanwhile, Rob Sewell provides the story behind the publication of this magnum opus – the most extensive edition of the book ever released, completed from the original archive material. Trotsky Today: A Critical Balance Sheet. Today, the 20th of August, is the 76th anniversary of Leon Trotsky’s murder by Ramón Mercader, agent of Stalin and the USSR state. Trotskyism has been in the news recently. Amongst the small left-wing groups, who present themselves as Jeremy Corbyn’s new best friends, are some who draw on Trotsky’s ideas. The Socialist Workers Party, in response to claims about Trotskyist politics, has published Trotsky was right – we need a revolution. In Why is Leon Trotsky relevant today? the SWP’s Sue Caldwell sees merit in his revolutionary spirit. His writings on the united front ,and the need to look out for the “treachery” of the Labour Party and trade unions in the 1926 (….) General Strike remain guides on how to approach the Labour Party and union leaders today. The SWP also advances on its own special view (against Trotsky) on the ‘state capitalist’ nature of the former USSR. The Socialist Party has this, The legacy of Leon Trotsky. This group states, “The ideas and methods of the Socialist Party and the socialist international to which it is affiliated, the Committee for a Workers’ International (CWI), are based on Trotsky’s, alongside those of Karl Marx, Friedrich Engels and Vladimir Lenin.” “What are the lessons for today? There is an urgent need to create a new mass force that can gather together the struggles of the working class both on an industrial plane but also in the political arena itself. This requires the ‘dual task’ that the CWI set itself in the early 1990s of fighting for the rehabilitation of the ideas of socialism for the mass movement and of maintaining the clear programme of Marxism-Trotskyism. ” “Trotsky, having been relegated to the status of a political ‘nonentity’ by his opponents, with Robert Service merely being the latest addition to the ranks, will be resurrected as a major figure, not only among the workers’ movement, but in the struggle of the whole of humankind in the convulsive period opening up. As one might guess these approaches are different to that of this Blog. We re-publish, with minor alterations, a long review article we produced in 2012. Stalin’s Nemesis. The Exile, and Murder of Leon Trotsky. Bertrand M. Patenaude. Faber & Faber. 2009. Trotsky A Biography. Robert Service. Macmillan. 2009. “Estimations of Trotsky tend to shade into explanations for his political downfall.” So comments Bertrand Patenaude. How should the man be considered? Why should we be interested in his defeat? Rigid, lacking sound political instincts, the overweening “flaw” in his haughty personality, – all judgements of Stalin’s Nemesis – Trotsky offered brilliant justification of the Russian Revolution, and mordant criticisms of Soviet rule under Stalin. To Robert Service Trotsky was “an exceptional human being and a complex one”. He was a major actor in a central drama of the 20th century, whose “ideas, including those about Russian history, had a lasting impact”. Patenaude’s Stalin’s Nemesis is a solid, if not particularly friendly, account of Trotsky’s life following his expulsion from the Soviet Union. It frequently expands to encompass the longer course of his vocation, from inspiring mass leader to marginalised founder of the Fourth International. But to get the full flavour of a study that puts the emphasis on how the one-time Commissar’s personality, imprinted with a “definite ideology”, shaped his career, from a leading player in the October capture of power, to exile, and victim of Stalin’s brutal revenge, one needs to read Robert Service’s biography. It has all the faults, and these flow in abundance, of such a method. Not that would have expected a sympathetic portrait. In Stalin (2004) Service compared Trotsky’s use of violence to Stalin’s and stated that he alone of the leading Bolsheviks approached the Georgian “in bloodthirstiness”. Or indeed a rounded grasp of Communist ideology and history. 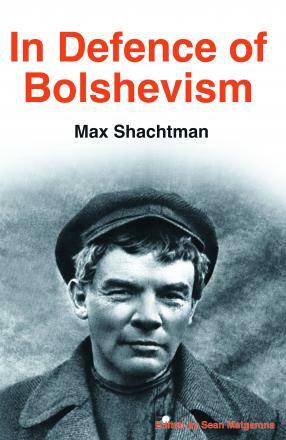 In his Comrades (2007) Service asserted that by the end of the 19th century Marxism had become “an infallible set of doctrines and political substitute for religion.” And that Lenin and the Bolsheviks’ “new type of state” based on “one-party, one-ideology” with no respect for “law, constitution and popular consent” had spread to “mutate like a virus”, infecting the body of Fascism, Remaining around, apparently, to taint “the Islamist plans of Osama Bin Laden” and the Taliban. Each book then offers not just narrative but assessments of Trotsky’s contribution (negative and positive) to the history of Communism and the Soviet Union, and Trotskyism’s own destiny. Patenaude’s story is largely centred on Trotsky’s life in Mexico, his homes in Coyoacán, and his wider historical description and judgements about Trotsky tend to flow from this location. This, despite its dismissive conclusion about the “dogma of Marxism” and Trotsky’s faith in the “glorious Soviet future” (did Patenaude mislay his style guide?) is gripping and illuminating. Aware of his previous writings, one expects less, and gets a lot less, from Service. In an ‘orthodox’ Trotskyist review David North has rigorously unravelled the string of howlers and factual errors that litter the book – apparently from a serious historian – from names, dates of people’s death, (including that of Natalia, Trotsky’s wife) to graver errors (here). The claim that this is the “first full-length biography of Trotsky written by someone outside Russia who is not a Trotskyist” may, nevertheless, be true. It is less than sure that Service’s efforts in this direction, to offer a “more searching approach” than previous biographies, such as Isaac Deutscher’s celebrated Trilogy, or the painstakingly documented publications of Pierre Broué, not to mention his subject’s own “self-serving and misleading” accounts, offer more than acres of darkness about Trotsky. Mexico, after years of wandering in exile, initially internal, in Kazakhstan, to outside the USSR in Turkey, France, to Norway, was Trotsky’s final home. The axe had fallen. He was now, for the Soviet state, officially a “counter-revolutionary” who had formed an illegal anti-Soviet party. No country appeared comfortable with receiving this dangerous revolutionary. But, from 1937 up till his murder in 1940, the Russian revolutionary found a guarded welcome from the Mexican President Cárdenas, a supporter of the Spanish republic and protector of countless loyalist refugees. The agrarian reformer had yielded to lobbying from the celebrated muralist, and self-styled Trotskyist, Diego Rivera, and out of a sense that it was the “proper thing to do” had accepted the Russian revolutionary. The artist housed him in Coyoacán, in his casa azul (blue house), “filled with plants and flowers, pre-Columbian sculptures” and “a fruit bearing orange tree” in the patio. With talent Patenaude describes the enveloping clouds around Trotsky’s stay. Life in the Blue House, where he had an affair with Rivera’s wife, the painter Frida Kahlo (riven in many minds by Julie Taymor’s dashing bio-film), the turbulent personality of her husband, a political-emotional storm, was not without its own drama. Sketches of Trotsky’s intimate relationship with his wife, Natalia, his pastimes, fishing, hunting, cacti collecting, and fraught diners, enliven the human side of – to anyone immersed in the drier side of Trotskyist literature – of the Old Man. There are snapshots of an earlier existence, from his role as the Bolshevik Army leader, the bitter struggles with Stalin following Lenin’s death in 1924, to his eventual hounding out of the Party. That past was brought back quickly. In the growing Stalinist Terror, Moscow ideologues, and their international counterparts in the Communist parties’ international, the Comintern, attacked Trotsky the ‘counter-revolutionary’. Near-by the Mexican Communist Party launched violent campaigns against his presence. From the start Trotsky and his entourage were under siege. Unfortunately, not only real threats weighed on them. This had domestic echoes. There were petty rows. “Life in the Trotsky household was marked by frequent periods of tension and petty strife which at times had the effect of undermining Trotsky’s security.” Which, by the time they had moved from the Blue House to the Avenida Viena (a result of the liaison with Frida) had become a full-time task. This was not always well carried out, despite efforts to recruit reliable guards, install alarm systems, and watch towers. Those out to crush him got closer and closer to Trotsky’s immediate circle. They imprisoned and executed members of his family, and assassinated important Trotskyist activists on the streets of Europe. The campaign spread to whole political movements. In Spain the 1937, a Stalinist-instigated suppression of, at the height of the Civil War, the ‘Trotskyist’ POUM (an independent anti-Stalinist Marxist group that Trotsky’s own dozen strong band of Spanish followers had been told to reject as ‘centrist’) was undertaken on the grounds of their ‘services’ for “European and Asiatic fascism”. Amid the repression their leader, the Catalan Andreu Nin, was abducted from prison, tortured and murdered by a GPU-led squad. By the start of 1940 the henchmen of the Soviet Union’s GPU were operating with the purpose of eliminating Trotsky in his New World redoubt. The infiltration by Stalinist agents, first Bob Harte, then, the sadly well known, under various names, Mercedor (Ramón, Raymond), Jacques Mornard, who wormed his way into the Coyoacán refuge, by the cruel seduction of the trusted Sylvia Ageloff, is outlined with all its tortuous mendacity, and form a riveting narrative. Wider politics played the major part of Trotsky’s life in exile. The Marxist revolutionary had not come to Mexico to abandon the fight against Stalinism; he wished to confront it with all possible means. Apart from holding the reins of the nascent Fourth International – in preparation since Hitler’s seizure of power in 1933, and founded officially in 1938 – Trotsky wrote prolifically on international affairs, offering criticisms on a global scale of Communist policies, and continued to narrate the internal disasters of the Soviet Union. In the Bulletin of the Opposition, and countless articles for the international left (and bourgeois) press he showed the truth about the “privileged caste” that made up the ‘Stalinist bureaucracy’, and the ‘gravedigger’ of the Russian Revolution, Stalin. Trotsky tried to organise resistance on a world-scale. Trotsky was still engaged in a biography of Stalin up to Mercador’s lethal assault. Patenaude describes a central episode in this unequal combat: the Dewy Commission, (1937). This was set up to challenge the Soviet charge that Trotsky was behind untold plots ‘uncovered’ during the Great Terror, and prosecuted during the Moscow trials. The 78-year-old American educationalist and pragmatist philosopher, John Dewy, who headed the public tribunal, declared that the injustice of this ‘legal’ process ranked with the Dreyfus affair and that of Sacco and Vanceti. This Commission, an Inquiry into such claims, visited his Central American location. It took testimonies from many sources, and was not without its difficult moments for Trotsky. Here his record as a leading Bolshevik came into play. How could the former People’s Commissar (as Service asserts much more frequently) demand the rights of democratic justice when his own actions in power had betrayed them? Stalin’s Nemesis suggests that Trotsky was forced into a corner over his defence of his action in suppressing the 1921 Kronstadt rebellion – his role as “the bloody Field Marshall Trotsky”. If the Moscow trials, the Commission concluded, were a frame-up (a view, to our astonishment today, not shared by many on the left), this leaves unresolved the difficulties, moral and political, these particular issues raise. Patenaude outlines the American educator’s 1938 exchange with Trotsky on ethics. The Dialectical Materialist claimed that the class struggle was the ultimate basis of all morals. That under Lenin the Party had followed the ‘laws’ of social development and revolution in crushing its enemies. That, “the end is justified if it leads to increasing the power of man over nature and to the abolition of power of man over man.” In contrast Stalin used unrestrained terror to serve the authority of bureaucratic rule. Thus, he concluded, ends had a ‘dialectical’ relation to means. Stalin’s goal needed repression, Lenin and Trotsky’s…. Dewey asked in reply if these ‘laws’ had testable proof, and what ‘means’ precisely were ruled out to achieve a world where people were free. One might conclude that how to maintain some kind of human decency regardless of the political circumstances remains unresolved. Dewey to an extent shared with Trotsky the premise that morality was not fixed but (as the American later wrote) based on “growth, improvement and progress”. He foresaw its future in a wider democratic process rather than formal political association – social development towards ending the rule of a minority over others in short. This leaves open what kind of political action gave an opportunity for Stalin to rise to power, and the lack of clarity about Trotsky’s defence of early Bolshevik methods of compulsion. In what sense, viewed today, can we say that they were in line with the promise of future human liberation? This end has yet to come. Trotsky as a Politician and Revolutionary. Eastman was well-placed to know: he fell out with Trotsky over his casual treatment well before he broke with the left and began a steady drift rightwards. But how far does this get us? Trotsky no doubt considered himself equally as a tool – of History (as Edmund Wilson described his self-image in To The Finland Station). In this fashion he was an actor in pre-written script. British intelligence agent (and financier of anti-Bolshevik forces), Bruce Lockhart, said of Trotsky during the Revolution “he strikes me as a man who would willingly die fighting for Russia provided there was a big enough audience to see him do it.” But from this, to try, as Robert Service does, to align the course of Trotsky’s political career around his personal qualities, from “alienating others” to “will to dominate”, is less than savoury. Not that we can blithely reduce Service’s arguments, as Tariq Ali so characteristically does, to the thesis that “Trotsky was a cold blooded and ruthless murderer” whose crimes merit exposure (Guardian Review. 31.10.09). Some of the hostile judgements in Trotsky A Biography are far from baseless. In the heat of the Civul War leader of the Red Army used ruthless repressive violence against ‘counter-revolutionaries’ (a very large category), backed forced ‘militarised’ labour, celebrated harsh restrictions on free speech and limited any right to non-party opposition, and vaunted this in Terrorism and Communism (1920). Even Ali, given to hero-worshiping himself, admits the Bolsheviks decided to “hold onto power whatever the cost”. Trotsky never openly regretted his actions, or retracted these views. But that if there is one thing that marks out Service’s Trotsky it is a relentless wish to bring the role of the individual in History centre stage. Trotsky: A Biography constantly runs the risk of replacing critical historical determinism by a critique of one individual’s personality and his – dependent – choices. In reality Trotsky’s perception of himself as part of a broader movement of events was not wholly misjudged. His fate was laid out as much by history as by the workings of his character. His “greater propensity for commands than for discussion”, his “extremely violent” practice, (for the sake of argument, conceded without countervailing traits) only flourished in conditions where people and institutions obeyed. Where in fact violence had become entrenched – by causes far beyond the Will of a “high order” Intellect. Whose origins are beyond the character defects of one revolutionary leader. Trotsky: A Biography is, then, dominated by the working out of an inner destiny. Yet, in Stalin Service had noted, “Neither Lenin nor Stalin was a wholly free agent. They were constrained by the nature of the regime which they had created.” This is even truer of Trotsky. His inability to sustain his position owed less to a general lack of political abilities than to an absence of the very specific skills – mixing loud loyalty with low cunning, a capacity to reassure the apparatus and build a coterie around him – that were needed to win power in the emerging bureaucratic state. It is obvious that organising a kaleidoscope of alliances, from the left to the United Opposition, on a platform of challenging the growth and power of this army of functionaries, was not going to make much head-way inside the very Party that swelled in symbiosis with the bureaucracy. Trotsky disdained to make appeals outside this circle. Then, the real issues are deeper. Why did he help build the administration only to attempt its transformation? Did he, even given his handicaps as a politician, offer anything other than a variant on the “model” of the one-party one-ideology state? Was Trotsky, for all his later criticisms of the Stalinist system, too wrapped in a set of near-identical assumptions about Capitalism and building Socialism, to offer a realistic different form of Communism? In sum, did he leave behind anything of value to the present world? Trotsky and the Soviet Regime. Service is in little doubt about the central responsibility Trotsky had in forming the Soviet regime, and his reasons for doing so. To begin with, Trotsky’s life was marked out by a dictatorial personality-become-dictatorial politics. Living life on his own terms, the young Trotsky became father to the man; “intensely self-righteous” his ideology propelled him into enforcing a closed political system, his version of Marxism as a guide to creating a Communist society. The means? He rejected individual terrorism, only to support “mass terror realised by the revolutionary class” – which brooked no opposition to the “proletarian dictatorship” that would construct socialism. In this respect, “the Bolshevik regime was flawed from its inception”. Trotsky may have begun as a supporter of workers’ liberation but “As soon as he had power, he eagerly suppressed popular aspirations by violence.” Next, Trotsky’s own inability to offer a convincing alternative, in democratic and economic terms, to Stalin’s version of a totalitarian state, was thorough-going. He was unable to think outside of the Party, “the Party in the final analysis is always right because the party is the sole historical instrument given to the proletariat for the solution of its fundamental tasks”. Such fundamental ‘partyism’ Service calls “the frame of communist authoritarianism”. The failure of Trotsky’s prophetic Marxism was complete. Instead of an inevitable revolt to restore workers’ power. When there was (in the Transitional Programme’s words) the “downfall of the Bonapartist clique and the Thermidorian bureaucracy” there was no socialist take-over to take over the bureaucracy and create a new ‘superstructure’ over the ‘socialist’ foundations of the economy. Capitalism was restarted in the Soviet Union, and its satellites. Collective property ended up in the hands of a new state protected bourgeoisie. One supposes that this is not an attribute that recommends itself to anyone on a dispassionate jury selecting Commissars with the power of life and death over others. Though it seems a good qualification for many positions, from entrepreneurs, CEOs, political spin-doctors and indeed British government figures, all with at least (in theory) more constraints than Trotsky had around him during his years in power. Is this in any case a fair character assessment, if not exactly psychometrics? Service is not alone is describing a Trotsky that always saw the wood, the human mass, and never the individual human tree. That, Trotsky was barely a Politician at all, and never even began to present a challenge to Stalin, during his Soviet years. Or that afterwards in the vainglorious attempt to form a Fourth International as an alternative to Stalinist Communism and the reformist (and ‘centrist’ left-wing) socialist and social democratic parties, Trotsky overreached himself. He was left with, when all seemed lost, as Patenaude states, only faith in a better future. Terror, Communism and Democratic Marxist Criticism. But this leads us further. To the ‘dictatorial-political’ strain in Trotsky’s ideology and person. To this, Trotsky’s ingrained support for repression. Service justly brings forward Terrorism and Communism (1920) which we have already referred to above. This is a key text (my edition is published tellingly by Gerry Healy’s Workers’ Revolutionary Party). Trotsky polemicises against the German Second International Marxist Kautsky, who defended a conventional form of democratic socialist government based on free elections and civil liberties. In high Jacobin mode Trotsky argued that not only the needs of the hour called for the severest form of revolutionary dictatorship, but that ruthless repression of political enemies, and compulsion in all spheres of life, from labour armies, to swift punishment for any disobedience to Soviet Rule, were inevitable features of any transition to a socialist society. Service intercalates the reality behind such sentences. The Bolsheviks had indeed “Shot innocent hostages. They had stripped large social groups of their civil rights. They had glorified terrorist ideas and gloried in their application” That this is, if anything, an underestimation of Trotsky’s totalitarianism, can be seen from these oft-quoted words, “..The road to socialism lies through a period of the highest possible intensification of the principle of the state. Just as a lamp, before going out, shoots up a brilliant flame, so the state, before disappearing, assumes the form of the dictatorship of the proletariat. i.e., the most ruthless form of the state, which embraces the life of the citizens authoritatively in every direction.” (Terrorism and Communism. 1975 Edition.) Nobody who supported these ideas, or even briefly entertained them, can stand today with much credit, even if his target, Kautsky’s conventional defence of progress through reform, made little difference to the ruin and chaos of Europe in this period. But how did Trotsky come to this view? This is not clearly explained. There is no serious reference to previous writings supporting such a comprehensive use of force over politics, and the prime motor of the economy, even if one can detect traces of it in earlier braggadocio and toying with the imagery of the French Revolution. For most of its existence, the ‘dictatorship of the proletariat’ was, for Marxists, in so far as Marx himself used it sparingly, hardly at all. It referred to a period when the working class imposes its rule as a class, not a party, and there is no doubt room for great ambiguity in the term. Hal Draper has argued that the phrase was taken over to gain, and transform, a large part of the contemporary radical left, that is those influenced and organised in the Blanquist tradition. This modelled itself on France in 1789 and truly wished for a sharp short period of outright forceful rule by a revolutionary minority to set the people free. By contrast Marx, he states, emphasised another side of ‘dictatorship in this sense (that is, in the 19th century where the phrase was coined)”. For him it signified an emergency period of ‘rule’, turned into administration by the working class majority – that is, democracy, hence “nothing more and nothing less than ‘rule of the proletariat – the “conquest of political power, by the working class, the establishment of a workers’ state in the immediate post revolutionary period.” (The Dictatorship of the Proletariat from Marx to Lenin. 1987). Draper argued that the problem with Lenin, and equally with Trotsky, was that they were unable to see the workers’ state in these democratic terms. That Trotsky in the above work went “farthest in advocating the workers’ democracy in state affairs”. As a result throughout Trotsky’s life, Draper observes, there was confusion, a separating between ”the concept ‘workers’ state (‘dictatorship of the proletariat’) from the question of working-class control from below (‘rule’).” (Hal Draper. Op cit.) Which leaves open the nature of what Draper calls the influence of the “environment”, the political atmosphere, that allowed/encouraged Trotsky to deform Marx. This fierce rhetoric, if it did not come from a close understanding of Marx, could not just be the product of the Russian left’s internal development. It is history, not Marxist classics, that supplies some of the answer. In the early Soviet Union Lenin’s initial programme of placing the workers in charge of all levels of the state – a plan to ensure its eventual ‘withering away’ as its functions were devolved to society – were overwhelmed by the needs of the Civil War. If, that is, it was ever seriously contemplated not much of it remained – from Taylorist One-Man Management in the factories, to state rule by decree. Soviet power, that is, the Bolsheviks; hold on the administration, had, Trotskyists still argue, to be defended at all costs. The Generals of the White Armies were open about their desire to crush their Bolshevik enemies. They smashed anything that stood in their way, they would have re-imposed autocratic rule over the corpses of the workers, the Jews, and the left. That in these conditions, “The question as to who will rule the country, i.e. the life or death of the bourgeoisie, will be decided on either side, not by references to the paragraphs of the constitution, but by the employment of all forms of violence.” (Terrorism and Communism) Can this be faulted? Some may say that a fight for life and death would be better pursued with a democratically mobilised country behind a left government and the Soviets. But then hindsight is not much of a guide to historical explanation. The issue here, though, is not only that Trotsky (according to his democratic critics) was wrong, preparing the way for a lamp that burnt right through the Russian people’s lives, but that the “bloody Field Marshall” was also a personality which was moulded by long wars that had drenched the land in blood. That a soil which threw up so many similar types needs as much explaining as the individual, the theory, and the state machine that gave it free reign. That regardless of the contribution of the latter (which we will return to), the fields of slaughter in Europe and Russia were created not by Communist theory, or the Soviets, but by imperial clashes. That Trotsky’s militarism was largely their product not Marx’s, or even one strand within Russian Social Democracy (Trotsky’s own position in-between Bolsheviks and Mensheviks for much of his career would seem to make his views the result of many different influences) and that it is the height of a biographer’s vanity to imagine that he can judge the Man without looking deeply into the conditions in which he throve. Brutality in the Civil War. How is this? Service refers to Trotsky’s early championing of the terrifyingly brutal short stories of Isaac Babel. Trotsky showed his “eye for excellence” by picking them out. Lionel Trilling described The Red Cavalry based on the author’s experience of fighting with Cossack irregular troops in Poland, as about “violence of the most extreme kind”, “written in a kind of lyric joy” (Penguin 2007). In this it mirrors a substantial part of early 20th century writing, early futurism, and given depth and realism in post Great War literature, such as in the novels of the ultra-nationalist Freikörps supporter, Ernst Jünger, which was infected with descriptions of this “rush” of violence. In Britain we remember better anti-war memories, poetry and works such as Remarque’s All Quiet on the Western Front. But amongst accounts of the horrors of armed conflict, of the steady attrition of life, and daily deprivations of the trenches, and, naturally, of the Russian Civil War, we can see that not just characters in novels revelled in brutality, an ultra-modernist longing for a new world cleansed by violence, or a reactionary need to water the native earth with the blood of foreigners. A brutal cast of mind was widely spread in real life. If Trotsky had his share of this, then it should be recognised that it was less his inner character that drove him than the forces of History he, after all, felt obliged to follow. Service’s near ancient Greek drama, in which the path traced out by one’s inherent personal qualities is given, shows its limits here. The breakdown of ‘civilisation’ and its barbaric replacement profoundly shaped the politics and public personalities of the inter-war period. The resulting culture of ‘hardness’ contributed, as is more than well-known, to the ultimate cult of violence, the demarcation of Friend and Enemy on racial grounds in the Nazi State. Stalin had his own violent background, as a near-gangster, described in Montefoire’s Young Stalin (2007). This ingrained his predisposition to revenge any slight, and gave a taste for the liquidation of enemies. Trotsky, by contrast, had had time, when that régime’s nature became apparent, to show at least some self-reflection on the error of letting violence prevail over politics – a great deal of time during his Mexican exile. Is this the result? The Fourth International’s (FI) Transitional Programme (1938) calls for a state run by the people through Soviets in which “all political currents of the proletariat can struggle for leadership of the soviets on the basis of the widest democracy.” Without defining what are the workers’ political currents, and what are not, this is not enough of a self-criticism. But a far cry from hurling anathemas at all but One current. And, if he did not recognise this change, Trotsky never got the hang of recognising that kind of turn. Another layer of Trotsky: A Biography lies in the lengthy history of the FI’s founder’s political struggle and his policies. It would be wearying to delve too deeply here. There is much material that may be found wanting. Trotskyists (such as Pierre Broué) have claimed that the Trotsky and the opposition did offer an alternative political structure (workers’ democracy inside the Party), and a programme for administrative reform toward a democratic socialist economy. The crucial issue though is organisational. Trotsky soon retreated from War Communism. Rule by force, and the militarisation of labour was never extended to his planned subordination of Trade Unions to production. Lenin’s death left him the lurch. By 1923 he began to regroup and react to the growing power of Stalin and the emerging bureaucratic monolith. In that year’s The New Course he began to identify a new bureaucratic stratum – a distinction with Lenin’s conception of the lingering influence of Imperial office practice. Against this Trotsky agitated for the right of the party masses to engage in ideological debate. This was largely justified on the grounds that the direct expression of differing opinions – from the base – would help root out bureaucracy. With echoes of his much earlier critique of Leninism Trotsky asked, “If factions are not wanted, there must not be any permanent groupings; if permanent groupings are not wanted, temporary grouping must be avoided; finally, in order that there be no temporary groupings, there must be no differences of opinion, for wherever there are two opinion, people inevitably group together.” This was published; the gates barring all criticism had not closed yet. But it met strong resistance. Against this line of reasoning Stalin was able to make capital out of Trotsky’s acquiescence in the 10th Bolshevik Party (R.C.P (B) Conference’s secret decision to suppress all factionalising (1921). From there Stalin called Trotsky’s calls for vibrant inner-party discussion during the 13th Conference (1924) “unrestrained agitation for democracy” an “absolute and a fetish” which “is unleashing petty-bourgeois elemental forces.” It was in vain that Trotsky protested that he was opposed to factions, that he believed that (as previously cited) “in the last analysis the Party is always right.” Stalin was in a position to go full throttle. Leninism, he asserted, was built as a “monolithic organisation, hewed from a single block, possessing a single will and in its work uniting all shades of thought into a single current of practical activities.” As Stalin gradually consolidated his power this version of Democratic Centralism won out, and the unitary Will found no place for Trotsky’s opinions. Without exaggerating Trotsky’s chances – trapped, as he was, in a political web partly of his own making, which paralysed his freedom of action – this issue, of democracy, is the crucial one. Hal Draper grasped the nettle. Either Trotsky recognised freedom for factionalism inside a Communist organisation – which he was never to do – or he too would end up confronting the need to suppress “differences of opinion”. Nor can differences be confined inside a single party. Political history is the history of factionalising, from groupings, tendencies, cliques, fractions, factions, to sects. The Greek word, ‘stasis’, that is the attempt to upset the existing order, the urge to overthrow the powers that be, ‘sedition’, is the spring behind their existence. It is a universal political phenomenon (insofar as politics – disputing and agreeing – are human qualities), as much as production itself. Before the Russian Revolution Georges Sorel, who preferred anti-party syndicalism, was fond of referring to socialist parties that tended to smoother differences in bureaucratic oligarchies and engage in parliamentary office-seeking and jobbery. To some the turn of Bolshevism-in-power into Stalinism indicates an even worse fate. One major factor in party bureaucratisation (apart from the wider social hierarchy they often mirror) is a ban on factionalism – or (as in the more modern period) a gutting out of inner-party democracy to prevent differing currents’ voices having any effect on their policy. The Bolsheviks were long accused of tendencies in this direction (not least by Trotsky himself). This was false, though one should not idealise the freedom to criticise that existed in an atmosphere of heated clashes and the threat of expulsions inside Lenin’s party. Stalin, as we have seen, raised such a move to a point of principle. Trotsky attempted to halt the dynamic. That he did so only is a very half-heartened way, and completely endorsed the Communist monopoly of power, is clear. But from there to allege that Trotsky’s initial attempts to at least raise some degree of opposition to bureaucratic rule, at a terrible cost to his own political career, that he, in Service’s opinion had “laid several foundation stones for the erection of Stalin’s political, social and even cultural edifice” is presumptuous. It should not be forgotten that by 1923 he was doing his utmost to assemble the blocks in a very different way. Trotsky, therefore, remains ambiguous. His later writings, displayed in the limpid prose of The History of the Russian Revolution (1932 – 3) the brilliant analysis of the degeneration of the Soviet Union in The Revolution Betrayed (1937), which analysed Soviet bureaucracy in terms of administering shortages, should not dazzle us into ignoring that they were flawed. Claims that the revolution had left a fundamentally healthy socialist form of property – hence economy, were deeply problematic. Service is right to note Trotsky’s inability to see any plausible way that the October Revolution could be ‘righted’ to correspond to this enduring ground. Perhaps more significantly this perspective skewed his judgement, anxious for the socialist productive forces to expand, Trotsky considered their growth over-rode many other considerations. His enthusiasm for the Soviet Union, largely founded on this perspective, in the years before his assassination, right up to the invasion of Finland, and the Partition of Poland, shows serious errors of judgement. Perry Anderson has claimed that far from ‘de-generating’ the dynamic of Stalinism reached out further and produced a “generation” of new Stalinist states, not only through force of Russian arms, but in Asia, by indigenous revolutionary combat (Trotsky’s Interpretation of Stalin. 1978). That this, against Anderson, was not a sign of a “transition beyond capitalism” can be seen in the present-day Chinese regime. Trotsky, Strategy and Marxist Theory. Was Trotsky a major Marxist theorist? He wrote and spoke in sweeping generalisations, with illustrations, rather than conceptual analysis and thoroughly researched references, peppering his paragraphs. In contrast to Lenin, his views were not presented through dense texts designed for an activist to chew over but by lyrical prose that aims to seduce a general audience. The histories move us, and the fate of the Russian Revolution is explained in a way that leaves its imprint, without necessarily satisfying our curiosity about those he disagreed with (all are given fairly short shrift), or taxing our minds too much. Amongst his theories the ‘law of combined development’ (called in Trotskyist circles “the Law of Combined and Uneven Development’), summarises some perhaps useful ideas. It is far from law-like – claims about the different rates of development across the world, and the potential for ‘leaps’ from forms of manufacturing to modern industrialisation, from autocratic regimes to democracies are heaped together with (Trotsky’s version of) socialism. This discovery’s presence is sometimes still glimpsed in academic leftist discourse about international development – uneven apparently, but ‘combined’ with global trends. One has the impression that Trotsky wrote rather like some supercilious British leftist orator who imagines he has cleverly shown his enemies up as fools and knaves and expects the audience to nod in agreement. Is a fluent and appealing rendering of a speaking style everything? Lenin’s own production sharpens one’s critical senses despite often-wooden phraseology (one imagines the original Russian is not much different in that respect). But they compel because the founder of the Soviet State’s core works are very concrete analysis of specific political conjunctures – leading up to the 1918 Revolution, and the problems it faced afterwards. All that he produced was grounded on weighty studies about the development of capitalism in Russia, its politics and flashes of insight into the operations of the world system – imperialism. One who is opposed to the Bolsheviks’ Dictatorship of the Proletariat through a democratic centralist party, and any aspect of their policies, is always aware of these, rather than anyone else’s, (that is, Trotsky onwards) premises. When Lenin discussed philosophy in Materialism and Empirico-Criticism he went to the sources, even if he dosed his writing with heavy-handed polemic. This was no exception, when Lenin polemicised he read and grappled with his opponents’ arguments. His notes on Hegel demonstrate a remarkable effort under the hardest circumstances to think something new. Trotsky was different. Marxism was largely a settled matter for him. He replied to American critics of Dialectics by regurgitating the homilies of early Dia-Mat and showed few signs of grasping what the contrary opinion was about. As for conjunctural writings, Trotsky on Germany (the rise of Hitler) and France (during the Popular Front) never capture Lenin’s zest for detail. Their telegraphed message, that the workers’ parties should unite – against the emerging Nazi threat – or to break from the mildly reformist and strongly respectable Parti Radical can be seen now, as rather thin. The latter – while in accord with rising French workers’ occupations, failed to anticipate that the fall of the Popular Front government (which relied on their co-operation) would not result in the rise of a powerful left party eager for Trotsky’s advice on how to form Committees of Action that would reflect the will of the “struggling masses”. Naturally the Popular Front collapsed – Trotsky was not there to help the left. If these are well-known cases of Trotsky’s apparent foresight, even more contentious were efforts to roll out comment on a wider range of world political issues, from Britain to China. They stretch even the admirers’ capacity to defer to Trotsky’s authority. Trotsky’s role as Global sage became a major cause (or perhaps, symptom) of his failure to win converts from existing left-wing groups to the banner of the Fourth International. So, opining on Spain (not a country he was in any way really familiar with), Trotsky attacked one of the few independent European Marxist groups with any social weight, the POUM. His writings, which criticised the party for its willingness to engage in support for the Republican government, are a disgraceful farrago of wishful thinking and spite. It is not to their honour that Trotskyists today continue to try to snaffle some glory for having ‘defended’ the POUM, or lay claim to its desperate struggle – as Ken Loach attempted in the film, Land and Freedom. (2) As for the predictions, sometimes Trotsky was acute (in foreseeing, like many others) a war between the USSR and Nazi Germany, other times, embarrassing, like his feeling that that the second World War would result in genuine Continent-wide workers’ revolutions. Régis Debray once described Trotsky as an expert on everything under the sun, and a few things more besides. This is fair comment. What of Trotsky’s legacy? Patenaude never musters the effort needed to go far into this question, contenting himself with the solemn comment that the Marxist revolutionary died a “prisoner of the myth of October as a workers’ revolution.” Service at least tries to draw some balance-sheet. It does not ignore the most significant aspect – the destiny of his political following, as well as his place in the public imagination of the wider left. As he put it in Comrades, Trotsky was, around 1968, hauled onto the “pedestal of esteem” by students and young people. This has, he claims, faded. In Stalin’s Nemesis, he observes that Trotskyists have never been “much larger than groupuscles”, who “never came close to taking power anywhere”. That Trotsky was to become little more than a “comfort blanket for revolutionaries who did not mind that they were not making a revolution” These remarks may please those who think the Russian Revolution’s myth is all that Trotsky’s politics represented, both as a legend himself, and the bearer of its mythology, he would seem for Patenaude and Service to have been tried, and, for all his better qualities, found severely wanting. It would be fruitless to protest that the real problems with Trotsky are only to do with his own activities. Apart from the assessment of his life and fatal decease, we should perhaps pay more than passing attention to what they indicate to present-day left political life. 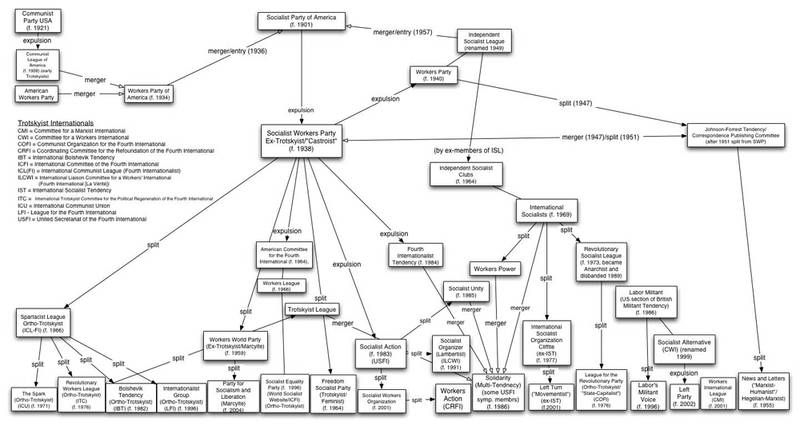 What then of the Trotskyist movement? It is far more influential than Service credits – its impact continues throughout the left, notably in France, but also in Britain where Trotskyists had a hey-day in the 1970s Labour Party. More recently those with a Trotskyist background were elected to the Scottish Parliament (before descending into fractious dispute). Trotskyism has offered a political induction for countless individuals, including the former Prime Minister of France, Lionel Jospin, prominent Labour MPs, and even Ministers. In many countries Trotskyists are a significant presence in trade unions. Trotskyist groups have provided and still offer a range of different ideas on politics, a full galaxy of opinions on nearly every weighty issue. What then of their faults? Many of these can be traced back to Trotsky. Trotsky’s effort to build a new International involved him in constant attacks on all other independent anti-Stalinist groups – without exception. He could not have equal allies – the American SWP was tolerated for its ready obedience. When that dried up within sections of the New York party, his wrath was immense, showering his critics with abuse. The ability to tolerate contradiction was not the Dialectician’s forte. Like Trotsky many have not yet, despite the recognition of multi-party democracy by the Fourth International in 1977 entirely agreed on the nature of democracy’s importance to socialism. This position is not universally accepted. Some from the Trotskyist tradition remain wedded to Trotsky’s hostility to factionalism, as the long list of expulsion and splits from the British Socialist Workers Party indicate all too clearly. Others are even more backward looking, basing themselves entirely on Trotsky’s words. But his or her judgements alone are unlikely to convince anyone who does not share this belief in a grace radiating from his life. Their time has passed, and we do not have to turn our backs every time we act to look at the works and deeds of Trotsky, Lenin or Stalin, to decide what we should do today. When we do – at some point we on the left have to have some guidance in the history that has shaped us – we will find matters of interest and reflection in writings such as Patenaude’s toil in the archives – but precious little Enlightenment in any of Service’s words. Later Alfred Rosmer, the French syndicalist, Communist and then left oppositionist, who was deeply involved with the early Soviet republic, offered a variant of this scarecrow of an argument. He cast aspersions on the political forces that flocked around the mutineers. Whatever the ‘tragic’ nature of the crushing of Kronstadt, the Communists afterwards took measures to assuage the causes of the defiance (better food requisition, dampening down peasant dissatisfaction, better bread rations and elements of small scale enterprise in urban areas). In any case, the uprising itself had rallied all the enemies of Bolshevism, “Que des éléments contre-révolutionnaires aient cherché à profiter de la situation, c’était normal; leur role était d’exciter les mécontentements, d’envenimer les griefs, de tirer vers eux le mouvement. D’où sortit le mot d’ordre des “ soviets sans bolchéviks ” ? il n’est pas aisé de le préciser, mais il était si commode pour rallier tout le monde, tous les adversaires du régime, en particulier les socialistes-révolutionnaires, les cadets, les menchéviks, empressés à prendre une revanche, qu’il est permis de supposer que ce sont eux qui en eurent l’idée, et la propagande qu’ils firent sur cette revendication pouvait toucher les marins et les soldats, la plupart jeunes recrues venant des campagnes, troublés déjà par les plaintes acrimonieuses que leur apportaient les lettres de leurs familles, irritées par la brutale réquisition.” Moscow sous Lénine. 1953. John Rees reiterates this, in a much more unsavory way, including repeating Trotsky’s charges that the mutiny was led by people who “not really” proletarians in In Defence of October International Socialism, 52. 1991. This reminds one of Stalinist claims about the workers’ uprising in Berlin 1953 that they were ‘not really’ workers but US agents in disguise. The historical debate continues. But the main point is that the Bolsheviks were unwilling to allow any of these forces, from the left to the centre any political expression whatsoever. So “’c’était normal” that they flocked to support the Kronstadt revolt. As for the rebels themselves, most accounts state that their demands were for freedom of workers’ parties (Pages 113 – 114. Ian D.Thatcher. Trotsky. 2003). Even if the slogan about soviets without Bolsheviks were true, what was so wrong with wanting to get rid of one party from elected bodies – democracies do it all the time? The question was how could this be achieved democratically – a mechanism Lenin and Trotsky’s dictatorship of the proletariat excluded at all costs. Socialist Party Goes into Meltdown. Back to the Old Times for Socialist Party in England and Wales. This has already been described as the bitterest piece of sectarianism by a left group since the days of News Line. After speaking and making clear that we were members of the Socialist Party, the Labour Party and Momentum, the room was whipped up by multiple speakers calling for our expulsion. In attendance were two self-proclaimed Trotskyist groups – Socialist Appeal and the Alliance for Workers Liberty (AWL). Both groups have recently been targeted by the Labour Party and have received suspensions and expulsions. However neither of them spoke out against the same witch hunt against the Socialist Party in Momentum. In fact, one member of the AWL proclaimed that he “was not and has never been a member of the Socialist Party” and that there was no place for the Socialist Party in Momentum. These groups, by their silence, have sided with the right-wing compromisers in Momentum and are complicit in the witch hunt. They offered no strategy or programme for fighting the civil war in the Labour Party, as the Blairites will continue to fight to keep it a party which acts in the interests of the 1%. The complete lack of democracy in Momentum was shown when Jon Lansman personally voided my Momentum membership via a text to Momentum’s office. He said I was guilty of belonging to a party hostile to the Labour Party. The Socialist Party isn’t hostile to Jeremy Corbyn and those that have joined Labour to fight for his policies. We are, however, hostile to Blairite MPs calling for the bombing of Syria, and local councillors implementing Tory cuts. Another Socialist Party member refused to give his name so Lansman took his photo! Are we to see ‘wanted posters’ of known Socialist Party members at local Momentum meetings? The political outlook of the Momentum leadership was summed up by a contribution that said: “The main way to support Jeremy Corbyn is to vote Labour.” Momentum, by uncritically canvassing for Blairites, has given no warning to the role those such as London Mayor Sadiq Khan will play in attacks on Corbyn’s leadership. This is worth reading (rest on site). We have come to the conclusion that the very nature of the undemocratic structures of the Socialist Party and CWI make it impossible to change or reform it in any meaningful manner. There has been no contested election for leadership in living memory. Along the way, we have won support from current and ex-members of the CWI. However, many of those current members have subsequently left the CWI (although not Marxist World) because of the bureaucratic barriers and methods used against them. The lack of internal democracy makes the task of putting forward our ideas without distortion, bureaucratic manoeuvres and, in some cases, outright harassment, virtually impossible. Unlike the Socialist Party EC, we have no intention of repudiating the fundamentals of Marxism. We have no choice but to leave the Socialist Party/CWI. We split from the Socialist Party/CWI partly with regret because of the history of “Trotskyism” and the seemingly endless history of splits and splits of splits. For example, in recent years the SWP has had two splits and Workers Power three. In many ways these are manifestations of the crisis within so-called Marxism following the 2007/8 economic crisis and the perspectives and methods of these organisations. Yet all these splits have either recreated the same bureaucratic centralist structures as their parent organisation, or threw out the baby with the bath water and abandoned the notion of an independent revolutionary party. Either way the effect on the rest of the Left has been demoralisation, disgust and distrust towards revolutionary Marxism. As somebody who has very publicly argued against working in a common political project in the Labour Party with the Socialist Party, at a London meeting of Labour Briefing and amongst my comrades in Chartist, there are two simple reasons why I do not want to have anything to do with them in these kind of forums: (1) They keep trying to create a mini-‘Labour movement’ based around their sect. They stand candidates against Labour – still – and are now engaged in an Anti-Labour and anti-TUC (not to mention all the major unions) campaign on Europe. (2) They are opposed to us on fundamental issues, as shown very clearly by their anti-EU position. As for the comment, “two self-proclaimed Trotskyist groups” both of the organisations cited (AWL and SA) they have considerably more claim to Trotskyism than the bizarre nationalists of the SP. I certainly do not want to be in close political work with a group that comes out with the kind of stuff: Trade Unionists Against the EU’ defends “Indigenous workers” against “Cheap Foreign Labour”.